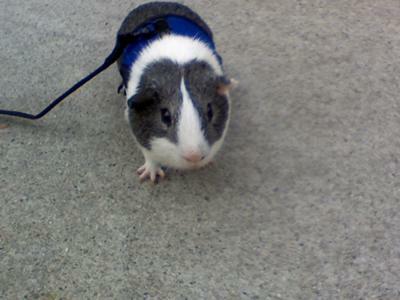 This is Bubba he is a gray and white dutch colored guinea pig. He is a little less than two years old. He is my little sweet heart. Bubba loves eating broccoli and carrots.